People power is burgeoning around the world like never before. And we're winning. Brazilians have used our online tools to get huge media and political attention, showing how anyone can now kick off a campaign that might change their country or the world. Start a petition now! People power is burgeoning around the world like never before. 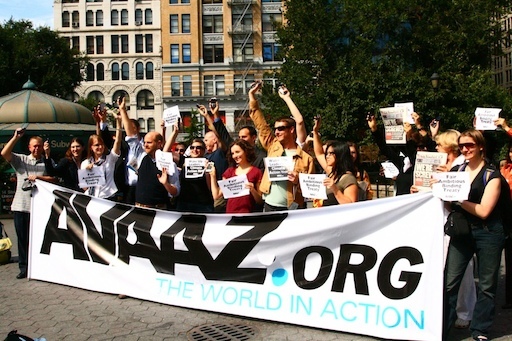 And from Brazil to Turkey and now Egypt, Avaaz members are at the heart of the groundbreaking movements that are reshaping our world. In Brazil, hundreds of Avaazers, from a 22 year-old student to a veteran Senator, have started their own petitions to tackle corruption from the communities to the capital. As millions take to the streets, millions more are flocking online to support the petitions started by Avaaz members. And they're getting results -- one petition got a front page media splash while another helped get Congress to bury a dreadful law that would have allowed corruption to run rampant. With just a few focused minutes the student built a powerful online mobilization that propelled him to be on the frontpage of one of Brazil's most popular political magazines. Imagine if all of us committed a little time to start a campaign - there's no limit to what we can achieve!